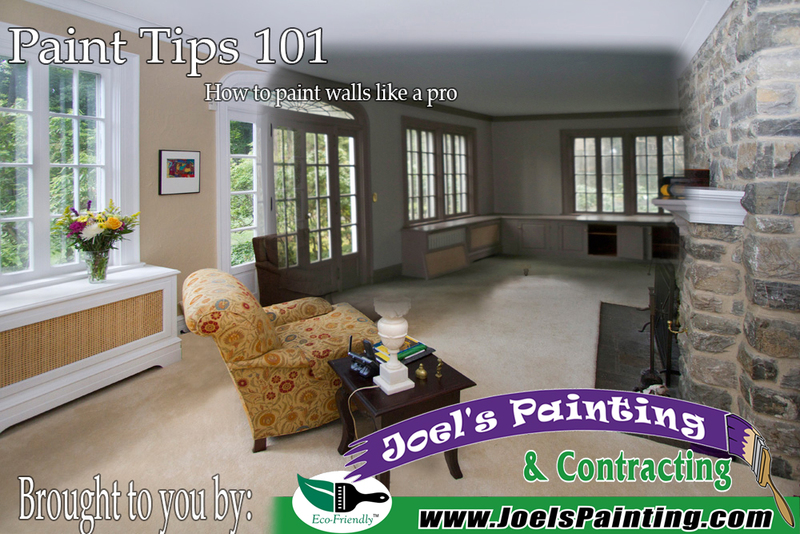 Painting interior walls is the easiest way to freshen up your place. But, as many of us have found out the hard way, this project can turn into a nightmare of splattered paint and endless coats if you’re not careful. All Successful paint jobs start with a properly prepared surface. First you must scrape any loose or chipped paint, and then sand the areas to a smooth surface. If there are any holes or cracks make sure to fill them with the proper filler. Prep is the most important part when it comes to painting. Primer allows for better adhesion to the walls being painted. Primer serves three main functions. First, it blocks stains from bleeding through. Second, it allows one-coat coverage for the paint. Third, and most important, it improves paint adhesion, which greatly reduces blisters and peeling. Once you have a smooth and primes surface it is time to paint! First you need your basic paint tools – paint brush, roller, paint tray or grid, and of course paint. First start by using the brush, paint all the corners that cannot be reached by the roller. Make sure to feather the edges as you do the corners, that way no drips are present in the final product. Once the corners have been “cut in” we can start using the roller to finish the walls. Make sure to apply even pressure to the roller as you apply the paint to avoid heavy paint lines. Once complete give the paint time to dry and see if a second coat is needed. A second coat is usually recommended to get complete coverage of the walls.